I believe that another way to get to know a company more would be to read up on some customer reviews so this morning, we will be reading some AARP Life Insurance Reviews. It is true that experience is the greatest teacher of all, but it doesn’t have to be your experience. You can read the reviews and learn from them or get a sneak peak on how AARP treats their customers. Keep an open mind! Don’t let one bad review or one good review make the decision for you. Weight things! “My grandmother passed away 6/26/2015. She has been dealing with AARP-NY Life for 3 years. As of 5/15/2015 she has been in and out the hospital due to becoming very ill. Therefore she was not able to make payments. My mom called this company to try to get everything situated and they said my grandmother’s insurance has lapsed. Being as though my mom is her beneficiary she offered to pay so it will be reinstated. No luck! Terrible service and terrible customer service. Total balance due was just $40. Now they want to search for medical records. After reading that, how do you feel about AARP now? Before you sign up with AARP Life Insurance, let us first take some time to learn about their programs and other offers. AARP is a nonprofit, nonpartisan, social welfare organization with a membership of nearly 38 million that are eager to help turn the goals and dreams of other people into… Real Possibilities. They also take part in strengthening the communities and fights for issues that matter to most families. Examples of issues are those related to health care, employment, and even income security and protection from financial abuse. AARP is a company that cares. They offer a life insurance plan that is exclusive for members who are over the age of 50 years but not more than 80. Their coverage is affordable and easy to avail if you want to help yourself or your loved ones cover their medical expenses, funeral costs, and other bills. 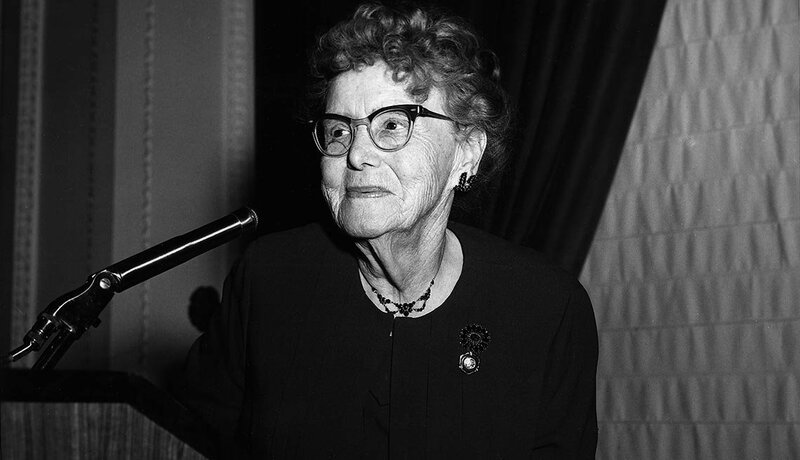 AARP was established by DR. Ethel Percy Andrus who was a retired principal. All she wanted was to promote her philosophy of productive aging and in response to the need of retired teachers’ health insurance. You see at that time, private health insurance was unavailable to older Americans. AARP evolved from the first company she had founded which was called as the National Retired Teachers Association or NRTA for short. Now NRTA has become a division of AARP. Presently, there’s an estimated 2 million AARP member who are already insurance in the AARP Life Insurance Program. If you want to become a member, don’t worry because it is very easy to join. They offer two programs that you can choose from which is the following. TERM LIFE INSURANCETerm life insurance is cheaper because it doesn’t last for too long. It is a type of life insurance that pays a benefit in the event of the death of the insured during a specified term. It will only cover you for a certain period of time. Usually the time period ranges from 6 months, a year, to until 25 years. The sad thing about this is that if you die after the insurance policy has already expired, the company will not give you a pay out. You will only receive coverage if you due withing the agreed number of years or months. – Up to 100,000 US DOLLARS in protection for those who are aged 50 to 74 years of age. – It is an affordable coverage that lasts until you reach the age of 80. Term life insurance is great if you want a protection while you are still young or you just started working. It won’t be too heavy on your budget, but as you age – take note of this – the premium that you have to pay will also increase. You can turn your term life insurance into the next one. Just talk to your life insurance agent about it. PERMANENT LIFE INSURANCENow, you probably have an idea what it is all about. Permanent meaning the coverage will not expire until the time that you have to die.If you die, then the policy will die with you… or if you stop paying your premiums. However, if you continue paying your premiums, the life insurance policy will remain active for as long as you are breathing. The price for the premium of a permanent life insurance is fix. It won’t increase or decrease as you age, but it is more expensive than term life. Permanent life insurance also allows you to accumulate wealth as regular premiums pay insurance costs and also contribute to equity growth in a savings account where dividends or interest is allows to build-up tax-deferred. – It is an affordable fixed coverage for your entire life. You will be able to plan your budget accordingly. – There will be no need for any type of medical exam but you will have to answer 3 health questions which you will find out once you have sign up or talked to an insurance agent about it. Don’t forget to subscribe to us here at Best Insurance Deals! if you have any more questions, feel free to drop a comment below or send us a message! Have a great day! Today we are going to be talking about Aviva’s Over 50 Life Insurance product and what it offers. It could be the life insurance coverage that you are looking for. Life insurance is a great gift to your family if you are the breadwinner of your family or to make it simple, if you are the one who brings the biggest income. When you unexpectedly die, the life insurance company that you partnered with will step in and take care of your family by either paying for your funeral, giving them a large sum of money, or a monthly income. Whatever it was that you and the insurance company agreed upon. A life insurance can help replace your income with a non-taxable health benefit, reduce the financial burden of your family having to continue without you, put your kids (if you have some) through school, pay for the mortgage, car, and other debts that you leave behind, pay for your funeral expenses, and pay for your estate taxes. Now you loved ones will be able to mourn you properly without thinking about other problems. If you are over the age of fifty or getting there, it’s not too late to purchase a life insurance. Aviva is a company that thinks of what is good for you. They are helping over 34 million customers to save for the future and manage the risks of everyday life. In fact, Aviva is the largest provider of pensions and life products in the United Kingdom. Now, let’s take about their OVER 50 Life Insurance. Aviva’s Over 50 Life Insurance is sometimes called as the “Guaranteed Lifelong Protection Plan”. How does this work? This life insurance plan will be responsible for paying out the full sum assured if you die after the plan has been active or in force just for 12 months. If you died because of an accident after the first 12 months, the sum assured amount they will pay will be doubled. Sounds good? However, keep in mind that if you die – NOT because of an accident, you won’t be covered by the company. Instead the premiums you have already paid to them will be refunded to your estate. But, generally Aviva Over 50 is a good choice and here are some reasons why. If you live in the United Kingdom and is aged 50 to 80, your application will be accepted. There are some companies who refused to insured people who are already over the age of 50 because the risk is higher. But with Aviva, your acceptance is guaranteed. Your premiums will stay between 7 to 50 Pounds a month. It won’t increased more than 50 Pounds. You will be immediately covered if you die from an accident after the first 12 months, and the cash sum paid will be doubled. Note: AFTER the first 12 months. Payment will stop when you reach the age of 90 years and you will be covered until you die. BUT if you stopped paying before you hit the age of 90 years old, your life cover would stop and no money will be paid out when you die. No medical or health checks required. You will be able to get multiple plans as long as your monthly premium is not more than 100 Pounds in total for all your plans. If you die because of an accident within the first year or within the first 12 months, the company will pay the life insurance amount. If you die within the first 12 months – NOT BECAUSE OF AN ACCIDENT – you are not covered. The premiums you paid will be refunded to your estate. If you die in an accident on the anniversary of your insurance or after the first 12 months, the company will pay the double amount of the life insurance. If you die from other causes on or after your first 12 months, the company will pay you the life insurance amount. What do you think? Are you interested in getting a Over 50 Life Insurance from Aviva? It is certainly a name that you can trust. Don’t forget to subscribe to us here at Best Insurance Deals! If you have any questions or if you want to discuss something, feel free to leave a comment below or send us a message. We would love to hear from you. Hope this article helped you somehow! Happy Insurance Hunting! Let us talk more on Aviva’s Life Insurance Policy. When we say insurance policy, we are referring to the document that details the terms and conditions of a contract insurance between the insured and the insurer. In a way, the insurance policy will work as a legal evidence of the insurance agreement. It will also put some sort of indemnity cover into effect, and it will set out the exact terms on which the indemnity cover has been provided. In an insurance policy, you will find the associated information that you need to know about like the specific risks and perils covered by the insurance company, duration of the coverage, amount of premium you will have to pay, mode of premium payment, and any deductibles. Don’t lose your insurance policy contract. I’m sure you can get another one from the company you partnered with, but it would be better if you have the insurance policy when you need it right. Let us go deeper into the Life Insurance of Aviva. Life Insurance policy is an insurance contract. In exchange for protection and coverage, the insured will pay regular premiums to the insurance company. In your insurance policy, you will find there that the company will pay an agreed lump sum of money if one of the lives covered by the insurance policy dies within the term agreed upon. It is important that you know that there is no cash-in value for this type of insurance. If you don’t die within the agreed duration or you stop paying your premiums, you will get nothing back. Some of Aviva’s life insurance policy includes a terminal illness benefit. It means that the policy will pay out if you are diagnosed with a terminal illness within the policy term that meats their policy definition. And if you aren’t expected to live for more than 12 months. The policy will only pay out ONCE so if they have paid a successful claim, your policy will then cease. Here are some life cover that you will choose from with Aviva. LIFE INSURANCE PLANThis will help you give your loved ones some financial security and some help when it comes to covering your mortgage if you die. CRITICAL ILLNESS PLANThe insurance company will pay out if you are diagnosed with a critical illness that is defined in their policy. LIFE INSURANCE + CRITICAL ILLNESS PLANIf you want both products at the same time, it is possible. You can apply for both at the same time, but the insurance company will have to give you two separate insurance policies. If there is a claim made on the Critical Illness Plan, the Life Insurance Plan will not be affected. The amount of cover can vary though. There is no need for you to choose the same level of cover for each policy. It is completely up to you. OVER 50 Life InsuranceIf you are over 50 years of age, then you may want to purchase this life cover. With this, you are guaranteed a sum of money for your loved ones. If you want to learn more about this, please click here. INCOME PROTECTION OPTIONSThis will help your family pay for the bills if you are sick or injured and cannot go to work. FREE PARENT LIFE COVERAviva will give each parent a 15,000 Pound life cover for one year. It will be free if you have a child under the age of 4. If you have questions, you can call Aviva at 0800 206 2052. Don’t forget to subscribe to us here at Best Insurance Deals so you won’t miss a post. You can leave a comment or send us a message below if you want to talk to us. Have a great day! If you are new to the insurance field, you may find insurance policies to be a little disorienting, but today, we are going to us Max Life Insurance to learn more about life insurance policies available out there. We chose Max Life because they are currently the largest life insurer among privately held non-banking companies in the country of India. But first, let us define the term ‘Insurance Policy’. Whenever we say, insurance policy we are referring to the documents that detail the terms and conditions of a contract of insurance. You may think of this as a proof of your purchase. This is a written agreement between the insurer (in this case, Max Life Insurance) and the insured or the policy holder (this is you). This document will help determine the claims which the insurer is legally required to pay. Here are some FAQ for Max Life Insurance Policy that you may find helpful. What types of riders are available with Max Life Insurance Policies? Personal Accident Benefit Rider which is responsible for paying out a benefit in case of an unfortunate event of death caused by an accident. Accidental Death Rider Benefit will be responsible for a benefit pay-out in the unfortunate event of death by accident. Dreaded Disease/Critical Illness Rider will be responsible for providing a benefit pay-out in case the policy holder contracts any of the critical illnesses mentioned in the rider document or during a surgery. Waiver of Premium Rider Benefit will be in effect in case the policyholder dies or is rendered disabled due to an accident. The premiums will be waived off. Can I change the premium paying mode in my Max Life Insurance Policy? Yes, but only on policy anniversaries for active policies. You will need to sign a form and submit it. How do I change the nomination or nominee in my Max Life Insurance policy? You must fill out a policy amendment request form and submit it to your nearest Max Life branch office. What are the different premium payment options available with Max Life Insurance Policies? You can pay for your policy through online, phone payments, auto debit facilities, and other modes of payment. You may ask a Max Life insurance agent about it. Can a loan be taken from a Max Life Insurance Policy? Yes, a loan can be taken out against your Max Life Insurance Policy if the policy has acquired a case surrender value. The load against the policy can be availed for up to 90% of this value, subject to a minimum availability of Rs. 10,000. Loans can be taken after 3 policy years have been completed on active policies. However, keep in mind that loans cannot be taken for policies in the grace period. Note: There is no loan available for Max Life Term Plans and Life Marker Unit Linked Plan. Alright, we hope that was helpful to you. Now if you have encountered an accident, you will need to file a claim. This is different from your policy, but you will need to have an idea about what compromises your policy. Don’t worry, it is easy to file a claim at Max Life. They have made it their mission to be the fairest, fastest, and friendliest when it comes to claims processing so if you have forgotten the inclusions of your insurance policies, you can ask your insurance agent about it. Don’t forget to subscribe to us here at Best Insurance Deals! If you have further questions, you may talk to your insurance agent about it but you may also send us a message here or leave a comment below. Have a fantastic week! If you are looking for some legit customer reviews for Max Life Insurance, then your search has ended. Today we have gathered some of the most honest reviews about the company. Just a word of advice though, don’t let one bad review seal the deal about your decision for a certain company. Or let a good review seal the deal. It would be best to keep an open mind while you are reading. Experience is the greatest teacher, but it doesn’t have to really be your experience right? If you feel confused to doubtful because of a review, it would be best to talk to someone about the review. You can drop us a comment below or send us a message. We would love to help out! Anyway, here are some reviews we have found. “I had applied for the policy on persuasion of the MaxLife Agent(Mr. Gaurav Jain, MaxLife Nagpur). First of all instead of one policy he splitted into two for showing numbers so that he gets more commission. Secondly and most important – when I received my policy documents, I found that my signatures were copied/forged. On seeing this I called up the agent immediately and asked why did he do this. He said – Sir, you should not worry. We do this for all who do not belong to same city where we are. He accepted his fault and tried to suppress it. I immediately asked for policy cancellation and full refund. He denied the full refund and said that you would get amount after certain deductions. I raised this issue to the head of the branch(Mr. Manish Nath – Maxlife Nagpur). I followed with all of these guys to get a full refund but no one confirmed. At the end, I tweeted Maxlife and on FB too. Then they came into action and in the fear offered me complete refund and action. “MAX life has the mind blowing insurance plan . I have taken a plan for the tenure of 20 years but the paying term of just 6 years. After the maturity will get the lump sum amount with bonus. Risk coverage is also good. Premium charged are nominal.” – Shibalal T.
Don’t forget to subscribe to us here at Best Insurance Deals for more informative articles such as this one! Have a fantastic week!